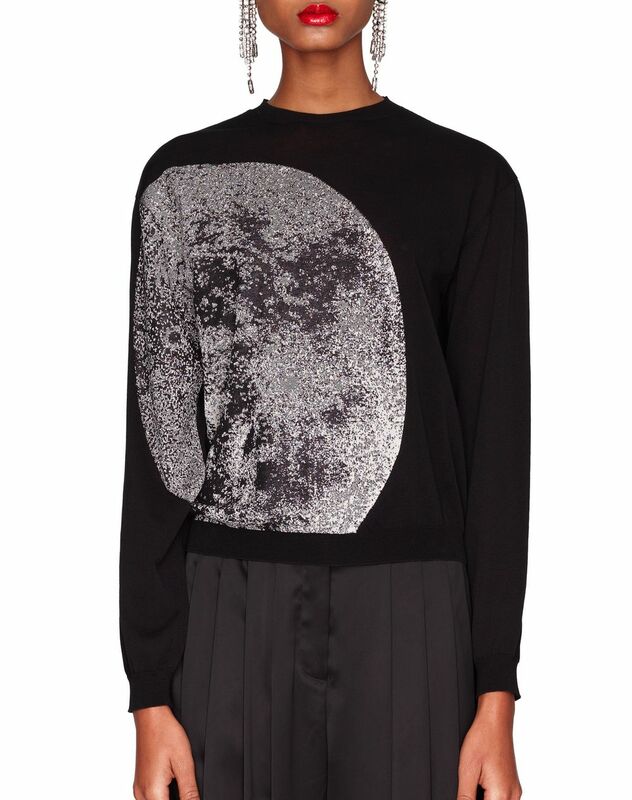 Long-sleeved jumper in black cotton knit, “Moon” intarsia detail, ribbed hems and slightly high round neck. 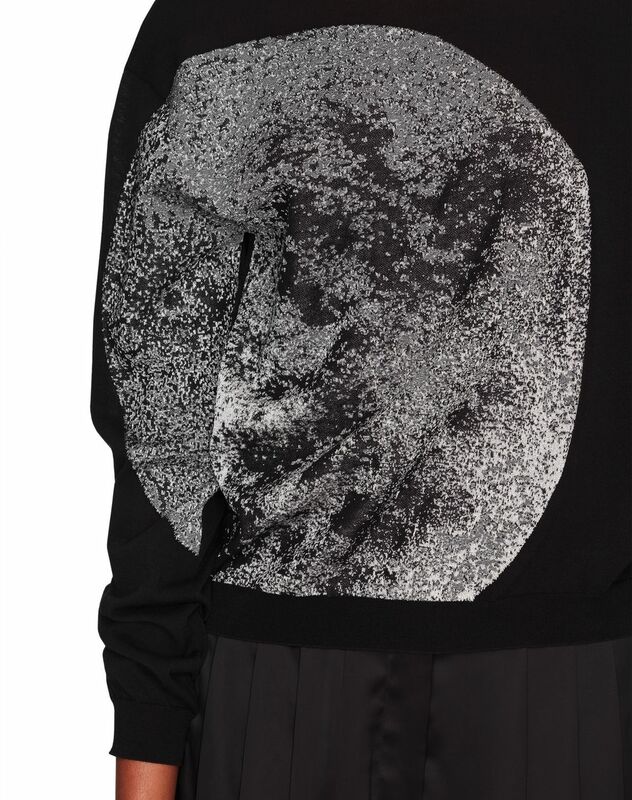 This black long-sleeved jumper is a must-have piece from the Summer 2019 collection. 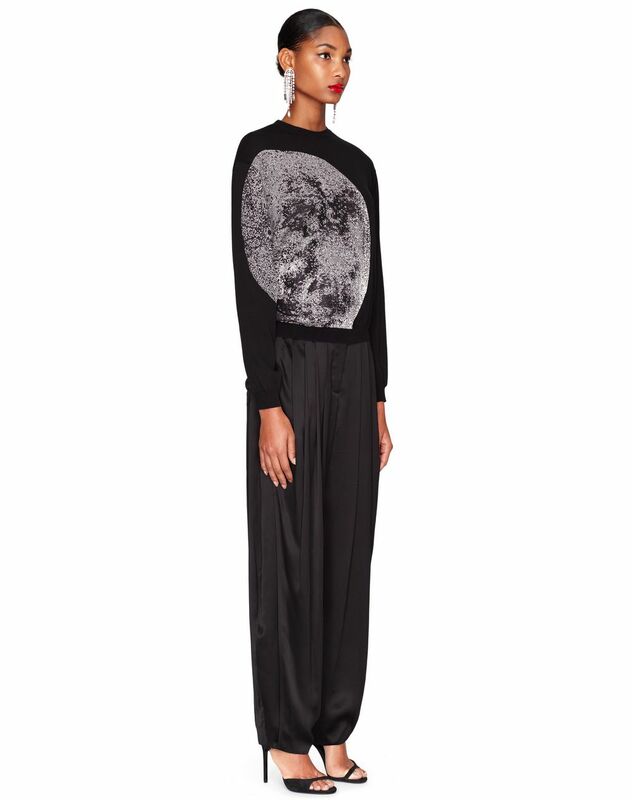 It stands out for its “Moon” motif intarsia, a key theme from this season. 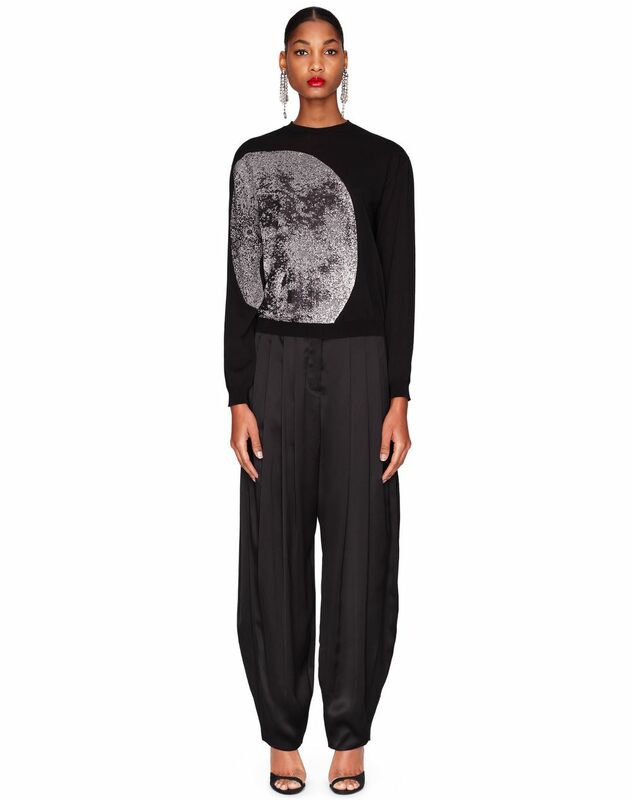 Trendy and sophisticated, this comfortable jumper is perfect to wear every day. 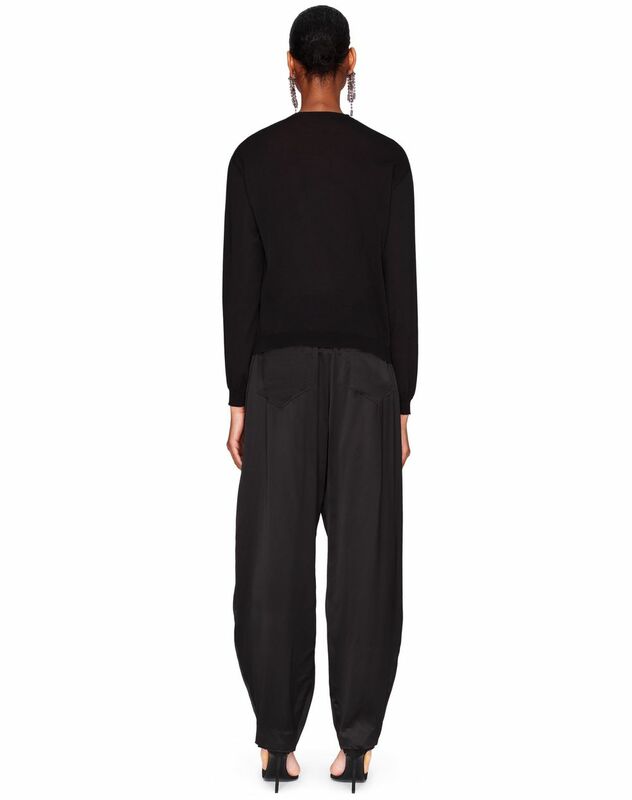 Main materials: 65% cotton knit, 15% polyamide knit, 15% viscose knit, 5% polyester knit. Model's measurements: Height: 179 cm Bust: 72 cm Waist: 57 cm Hips: 87 cm Model wears a size S. Made in Italy.